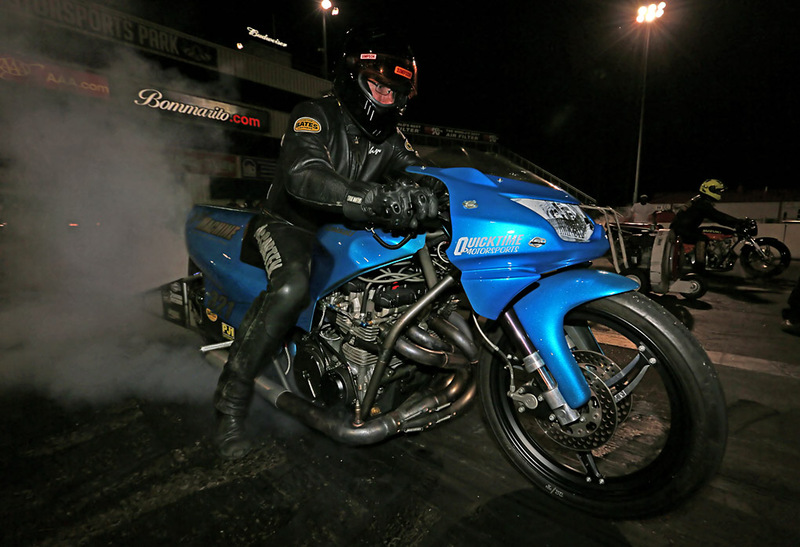 NHDRO’s twice rain-delayed CC Powersports World Finals are set to roll October 19-21 at Ohio Valley Dragway alongside the mighty Ohio River near Louisville, Kentucky. 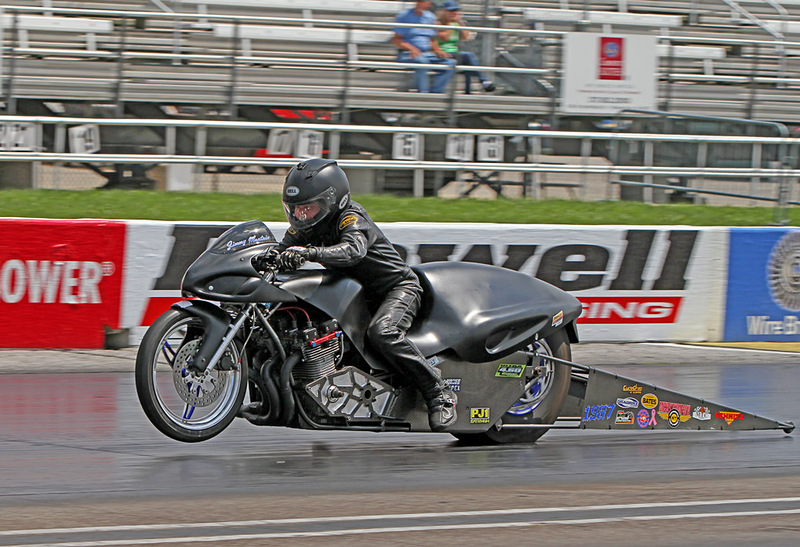 NHDRO has boosted the Quicktime Motorsports/Lindeman Performance Pro Ultra 4.60 eighth mile class purse to $5000-to-win for the Louisville race. Gateway winner Dan McCarten, defending Louisville winner Les Stimac, Ohio and September Indy winner Jimmy Muntain, August Indy winner Smokin’ Joe Rodney, class sponsor Jeff Lindeman and more—all will be racing for the cash and the championship in the richest 4.60 race ever! Lindeman has a tiny 6 point lead over Muntain as the championship is decided at the ‘Ville. You think 6 points is a small lead? Gateway Big Money winner Ron “Ju-Jitsu” Arnold’s M2.Shocks Crazy 8s lead is only 4 over Deadly Dustin Lee. Crazy 5.70 doesn’t have the same ring, but that’s the index these hot street bikes will be matching on the eighth mile. Jeremy England leads Penske Racing Shocks Street Fighter by a scant 12 points over Cameron Teasley. Those riders and more will be battling with an eighth-mile index of 6.15. Ken Selner’s Millennium Trailers Super Comp lead is also 12 points, with second place Scott Sheppeard only 1 point ahead of Indy Street ET Big Money winner Lee. Super Comp clips it at 5.60 on the eighth. 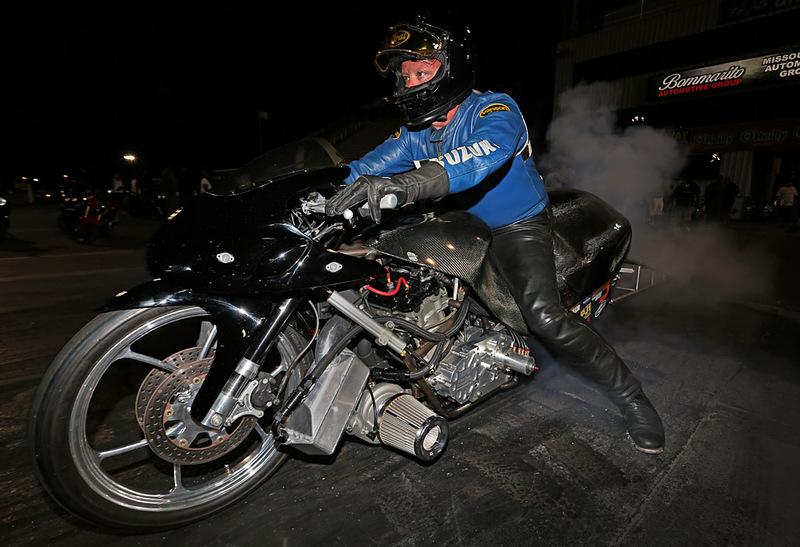 Top Gas big money winner Jeremy Teasley and his deadly no-bar Suzuki Hayabusa have a whopping 88 point lead over Heath McQuinn. This won’t stop a full field of studs getting the job done in 5.10 seconds. Many of these racers and more will also pack the staging lanes for MPS Pro ET and Kevin Dennis Insurance Street ET, with separate races on both days. Jeff Hall, Tylan Beckelheimer, Wes Brown, Steady Teddy Thompson, Big Joe Holt, Doug Fisher, Tom Klemme, Pro ET Big Money winner Bruce Damewood and more will all be going mano y mano. Let’s not forget the pro classes, like the world’s quickest street-legal bikes of McIntosh/Grayson Machine & Fabrication Pro Street. 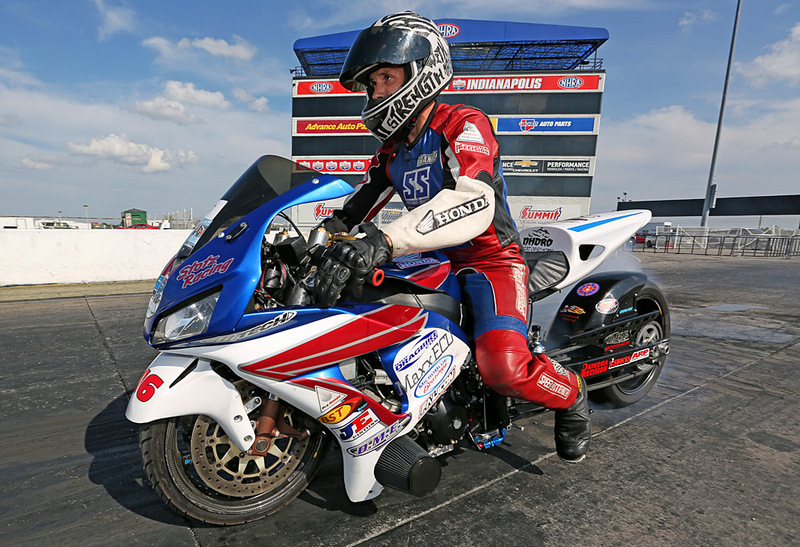 Gateway winner Gaige Herrera and his nitrous-huffing Suzuki Hayabusa might have a slight advantage on the eighth-mile versus the 700 horsepower turbo bikes. But Atlanta and August Indy winner Frankie Stotz’s Honda 1000 is also known to be an eighth-mile killer, and Stotz has already pretty well killed the points race with a 115 point lead over second place Rudy Sanzottera of Quicktime Motorsports. Brad Christian, Chris Klassen, former champ Doug Gall and more will all be putting the power to Ohio Valley’s concrete via their street legal tires. 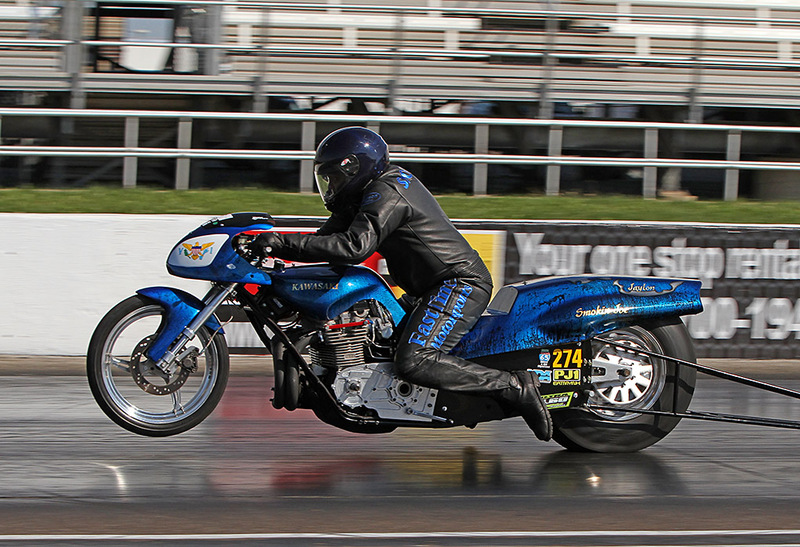 There’s nothing street-legal about Chris Cutsinger’s Pro Open championship bike. Big tires and big horsepower describe this class, and Cutisnger will be shredding with the likes of Ron Maddox, Scott Proctor, Brad Messer and more. Cutsinger has a small 22 point lead over Indy winner Maddox. Nighttime is the right time for Performance Racing Products Grudge racing, and Louisville has seen some of the best. Whether in the crowd or in the seat, you’ll want to be part of this one. Brian and Niki Welch especially thank José and Tina Gonzalez of CC Powersports for their support of NHDRO and sponsorship of the Louisville World Finals. 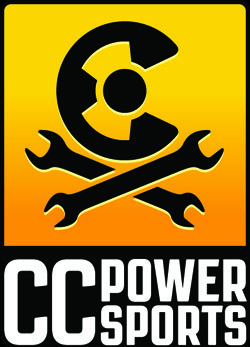 CC Powersports is one of the Midwest’s largest and oldest continuously operated powersports dealers. Founded in 1964, CC’s 50,000 square foot store in Clarksville, Indiana, and 25,000 square foot store in Louisville sell Honda, Kawasaki, Suzuki, Yamaha, KTM, Polaris, Indian Motorcycles, Slingshot, Can-Am, Sea-Doo, Spyder, Bad Boy, and SSR. CC Powersports also supports NHDRO racers by bringing VP Fuels and OEM parts to the events. Need anything? Call Tina at (502) 817-8181 and have them bring it to you. 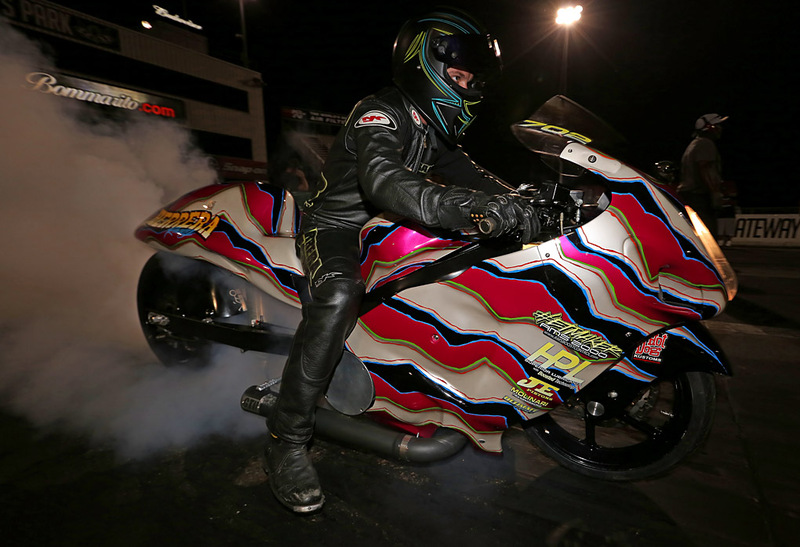 Brian, Niki, and everyone with NHDRO look forward to welcoming you to a Big event rollin’ on a small track at Ohio Valley Dragway just outside of Louisville.